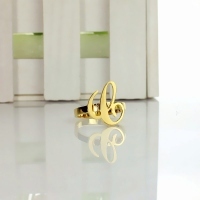 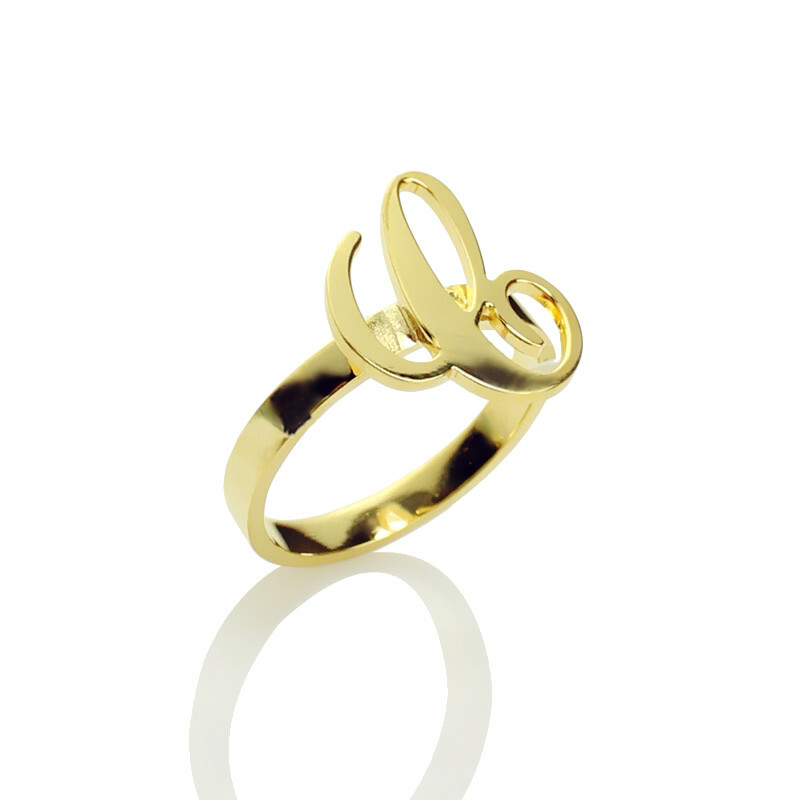 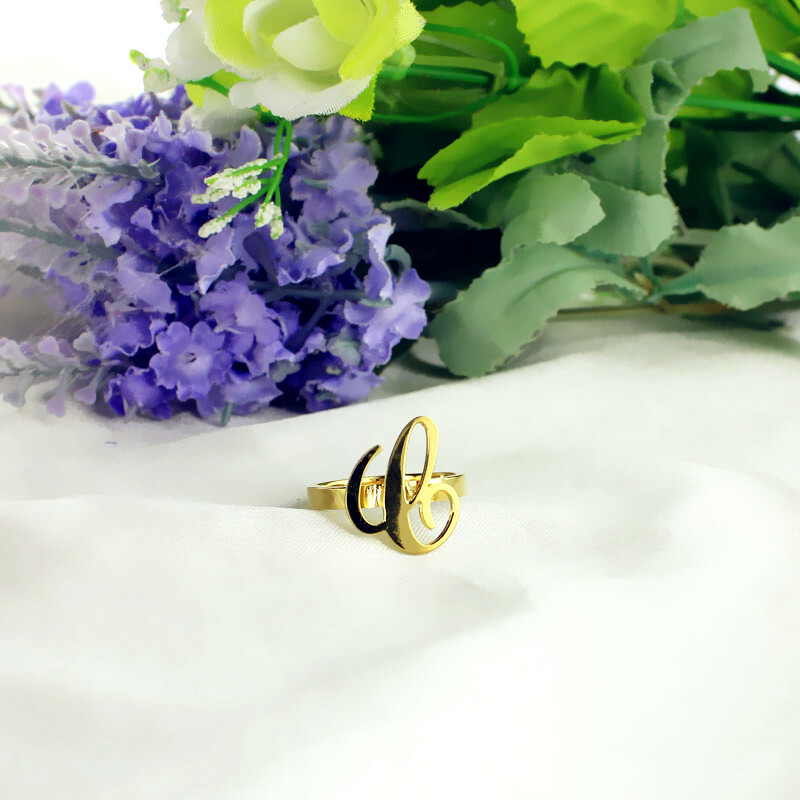 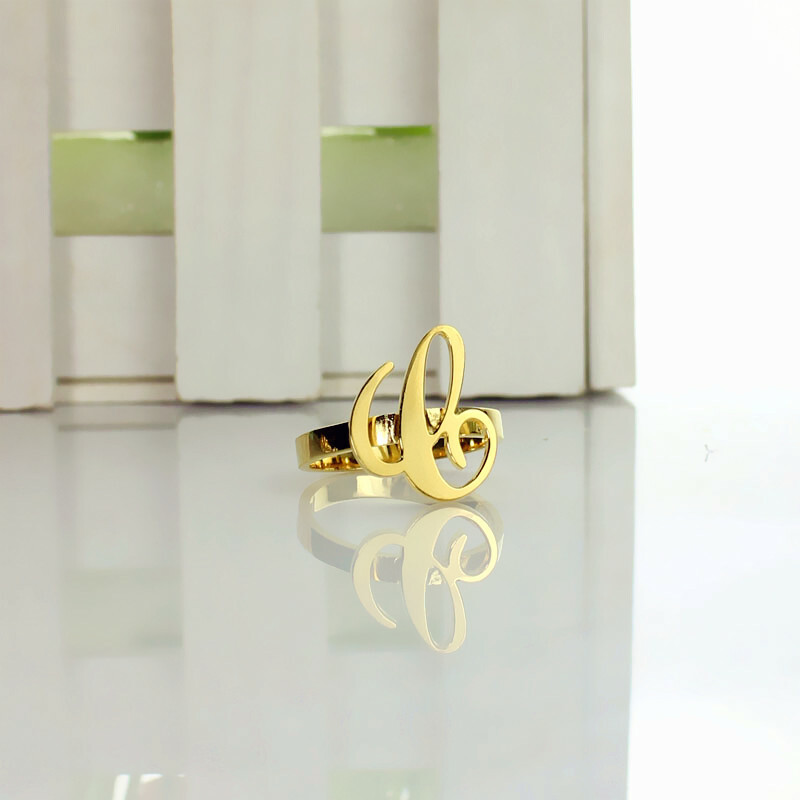 Personalized Carrie Initial Letter Ring 18k Gold Plated - 18k gold plated Carrie Name Ring made of 925 Silver. 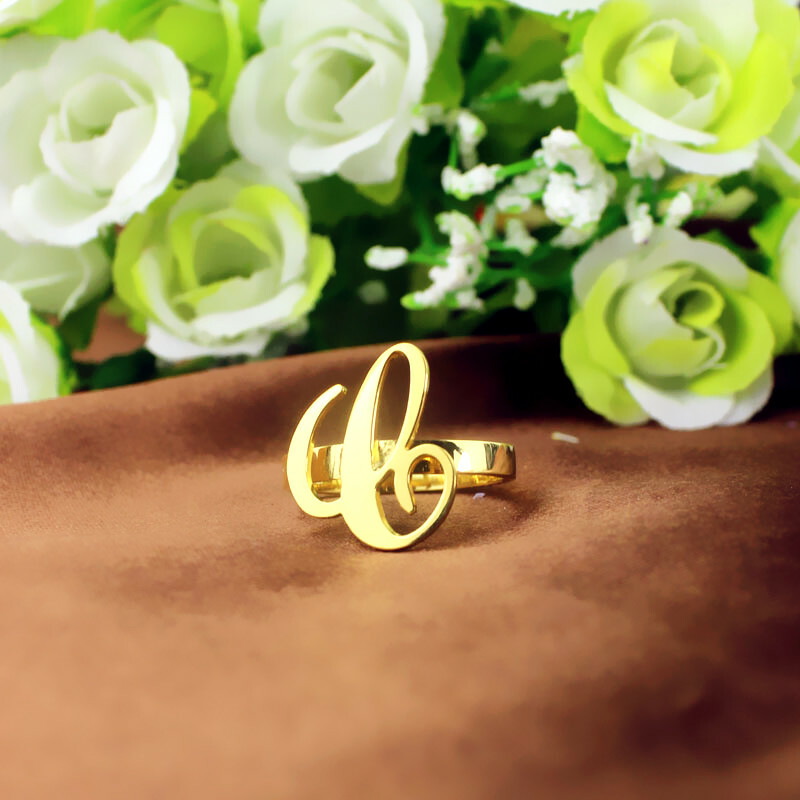 You can custom this name ring with only one letter. 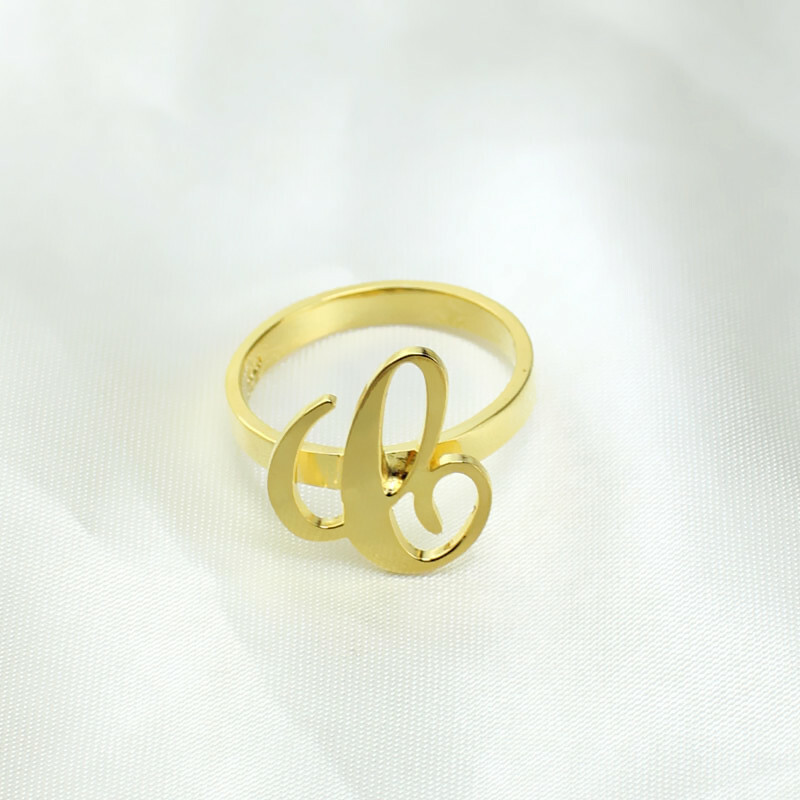 Make a unique Carrie style font initial ring.